More than 140 000 accounts, partners in 59 countries, 24-hour multilingual client support, ECN trading possibility, modern means of communication – this is MasterForex today. Currency market has been the main activity of MasterForex for more than three years. Today MasterForex is a dynamical broker providing its clients with comprehensive set of quality services on Forex market. You suffered trading the Swiss franc at you broker? MFX Broker comes to rescue all traders of other brokers and gives compensation of losses in the amount of 200%, and $100 no-deposit bonus from company’s funds to those who suffered losses on January 15 trading pairs with the Swiss franc. 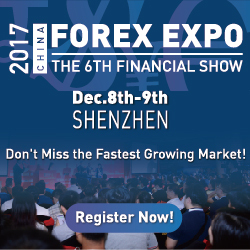 Any client not registered in MFX Broker who lost funds during trades with the Swiss franc pairs can get $100 of no-deposit bonus or additional 200% bonus for deposit. Clients of MFX Broker can also rely on the Rescue bonus. contact client support department for more detailed information. We hope that this step will help clients to return to normal operation mode. Registration in the personal profile. Certification of wallet details of the payment processor which will be used later for withdrawing of the profit. Withdrawing to another wallet of the payment processor won’t be available. Wallet details must correspond with the personal details of the client. Pass SMS-confirmation procedure and get a code. After successful completion of all above mentioned procedures one needs to send a request to support@mfxbroker.com with MFX Broker account number or attached statement of the account registered in the other company. The Bonus can be received only in case of provision of investor access to the account which suffered losses due to the events on 15 January. Bonus is credited for the deposit. Bonus cannot be more than the loss during trading CHF pairs on January 15. In case of 10% trading of the Bonus, amount equivalent to 10% of the Bonus can be transferred to the balance of the trading account and become available for withdrawing. After competition of this condition it is necessary to send a request to support@mfxbroker.com. Bonus amount becomes available for withdrawing after realization of transactions cumulative volume of which composes not less than 10% of the received Bonus amount. Example: Your deposit composed $10. You received 200% Bonus of $20. Cumulative deposit composes $30. To make the bonus available for withdrawal you need to trade $20 * 10% = 2. So you need to trade 2 lot size. The transaction is considered to be completed after its closing. Depositing of the account and/or trading account of the client can be realized via any payment processor mentioned on the site of MFX Broker. Minimum deposit amount for which the bonus will e credited composes 10 USD. Bonus amount is charged to the account in the form of a credit (these funds can be used for trading equally with the funds of the client). There are no limits for deposits. The company reserves the right to finish the bonus promotion any moment without pre-noticing. Bonus is set to zero in case of any withdrawals from the account. Payout of partnership commission for trading of clients is not realized. Bonus is automatically set to zero in case after its charging and completion of transactions total amount of funds on the account becomes equal to the amount of the bonus. 200% Bonus promotion complies with Regulations for contests and bonus programs carrying. 200% Bonus is charged for Standard trading account. The company reserves the right to request a photo of the client with his ID in the hand to identify ownership of the document. The company reserves the right to refuse payout of the bonus without reasoning. The company reserves the right to finish Bonus promotion any moment without pre-notification. The first 1000 clients can apply for the Bonus and just one time. 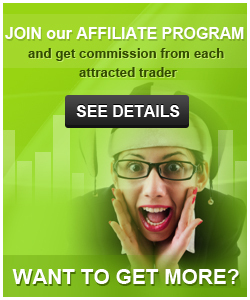 Only clients not registered in MFX Broker can apply for the Bonus. 1Registration in the personal profile. 3Certification of wallet details of the payment processor which will be used later for withdrawing of the profit. Withdrawing to another wallet of the payment processor won’t be available. Wallet details must correspond with the personal details of the client. 4Pass SMS-confirmation procedure and get a code. Minimum traded volume necessary for withdrawing: 4 lot sizes. Trading is realized only with CHF pairs. The transaction is considered completed after its closing. There are no limits for depositing account. Simultaneous usage of several personal MFX wallets by the same client as well as collusion of clients with the purpose of overindulgence of the promotion is not available. In case of revelation of such actions the charged amount and/or profit from trading will be set to zero on all personal MF wallets of such clients. In case of revelation of violation of this promotion or the Client Agreement by the client, the company reserves the right to refuse client’s participation in the promotion. After the first withdrawal Bonus amount is set to zero. The company reserves the right to transfer prize funds to USD and EUR bank account. $100 Bonus promotion complies with Regulations for contests and bonus programs carrying. 100$ Bonus is charged to the Standard trading account. Use unique termless bonus which is available absolutely for any client of the company. Double your deposits and chances for getting big profit. To replace your IB account in the Mtrading Forex broker from other IB to the ForexRebate.me, you need Open new account with new email at using this link. The broker with excellent reputation. The choice of tools is huge, спред did not meet more low, I trade about 2 years, complaints are not present. it look like good broker, is any one have experience about it?